around and continue its mission. tiny geared DC motors for stepping and steering. 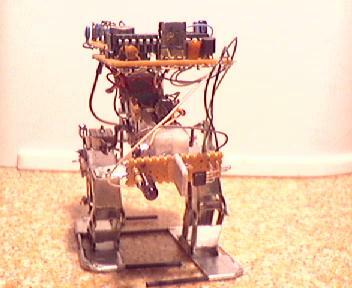 Mini Biped is controlled by a PIC 16F872. Look for more details at www.havingasoftware.nl/robots/robots.htm.